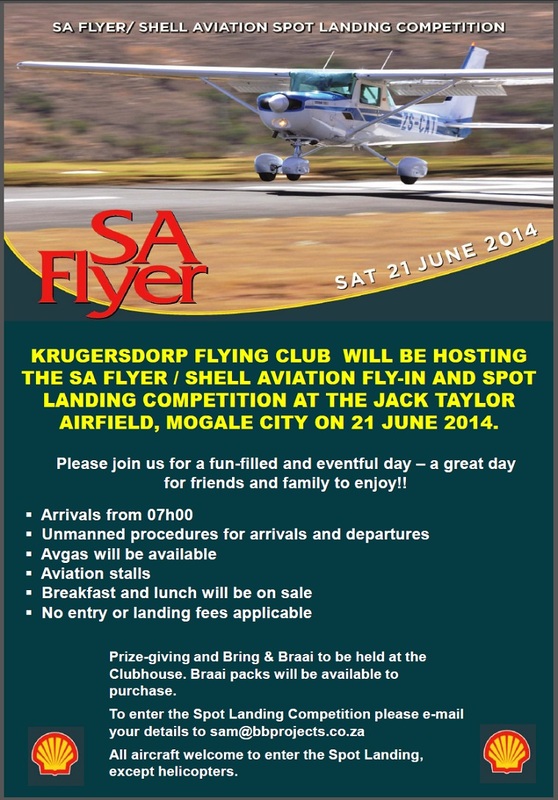 21 June: Krugersdorp Spot Landing Competition. 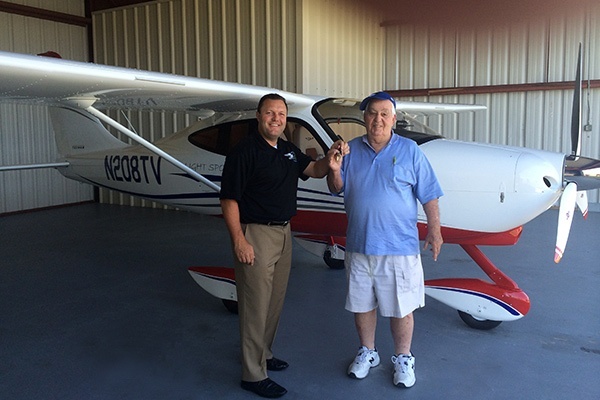 In April, having just moved into its 21,000 sq ft North American facility at Sebring, FL., Tecnam USA Inc. Director of Sales, Shannon Yeager and his team fulfilled an order for a P2008 Turbo, placed during the Sport Aviation Expo held at Sebring earlier this year, in under 3 months. This remarkable accomplishment supports Tecnam's decision to significantly invest in directly serving the needs of its North American customers. To allow future aircraft owners to compare aircraft models side by side, Tecnam US compensates those interested in Tecnam aircraft for their travel to come and experience the entire product line at its Sebring showroom. Certain restrictions do apply. This July, fast airplanes, race pilots, and aviation enthusiasts will once again be descending upon Mitchell Municipal Airport (KMHE) in South Dakota in advance of the 17th annual EAA AirVenture Cup. This year's race is planned to start from KMHE with a mandatory turn point over Mankato, Minnesota (KMKT). Pilots then set course, throttle wide open, to the finish line in Wausau, Wisconsin (KAUW), for a total of just over 400 statute miles. The EAA AirVenture Cup Race provides builders and pilots an opportunity to race their aircraft in a safe and fun environment, all while promoting aviation in and over the communities where the races are held. Past flying courses have ranged anywhere from 400-750 miles cross-country towards Oshkosh in advance of EAA AirVenture. The first race was in 1998, starting in Kitty Hawk, North Carolina, with 10 aircraft - several of which have participated in the annual race ever since. Race airplanes and pilots start arriving in Mitchell on Friday, July 25, for race media day, and continue arriving through Saturday afternoon. Also Saturday the race staff and participants will host an airport open house in cooperation with the airport operator, Wright Brothers Aviation. "Having nearly 100 unique airplanes and pilots in Mitchell gives us the opportunity to invite the local community to come out to the airport for the day," said Eric Whyte, EAA Lifetime 357260, race chairman. "The race pits are open to the public and spectators can come and talk to the builders and pilots. In addition kids between the ages of 7 and 17 can get free airplane rides through the EAA Young Eagles Program [parent/guardian signature required]." Race launch is scheduled for Sunday, July 27, at 9:30 a.m., weather permitting. Once on the race course, the AirVenture Cup Race is a timed competition. Participants compete against the clock and are divided into categories based on their certification, landing gear configuration, and engine size. Each class has first, second, and third place awards. The application window is now open, and will close on July 1, 2014. All applications will need to be complete and approved by that date. The volunteer staff for the AirVenture Cup Race requests any interested parties submit their application as soon as possible. 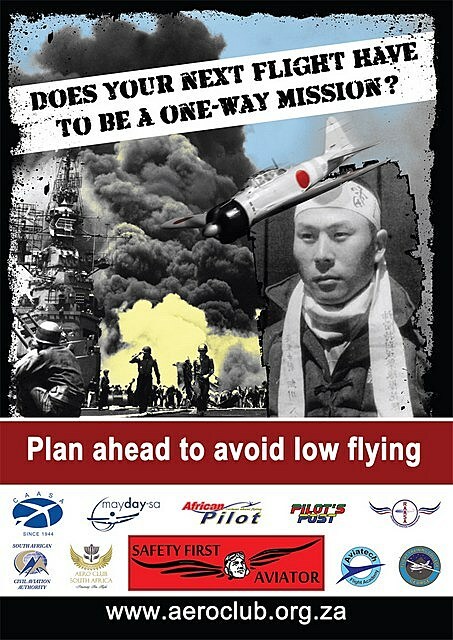 Applications for participation are now available at www.airventurecuprace.com. The EAA AirVenture Cup is made possible through the support of its sponsors, and the race staff is currently seeking sponsors to support this year's race. To inquire about sponsorship, contact Todd Shannon at toddshannon@msn.com . Sikorsky Aircraft Corp. announced the certification by the European Aviation Safety Agency (EASA) of enhanced functionality for the S-92® helicopter. The announcement was made at both the European Business Aviation Convention & Exhibit (EBACE) in Geneva, Switzerland, and at the ILA Berlin exhibition in Germany. Sikorsky Aircraft is a subsidiary of United Technologies Corp. The newly certified software update to the Avionics Management System (AMS), version 8.0, provides display enhancements to existing functionality to support several important S-92 mission capabilities, including CAT A Takeoff, enhanced Search and Rescue patterns, and Rig Approach, a first of its kind functionality on the S-92 helicopter that provides operators with an automated approach to offshore rig and platform landings. EASA certification for Rig Approach is expected this year. The update also provides a growth path to game-changing new safety enhancements in the S-92 cockpit, such as fully integrated Traffic Collision Avoidance System (TCAS) II and Automatic Dependent Surveillance-Broadcast (ADS-B) Out. ADS-B Out is the next generation of air traffic control safety equipment. The functionality provides aircraft and air traffic controllers with real-time, satellite-based position and heading data, and will replace current radar-based systems. The system has been certified for the S-92 helicopter by the Federal Aviation Administration (FAA), National Civil Aviation Agency of Brazil and now the European Aviation Safety Agency. "The S-92 helicopter has earned a reputation as a safe and very rugged aircraft able to operate in demanding environments. These enhancements increase mission capability and situational awareness for operators," said Audrey Brady, director, S-92 programs. "We are proud ADS-B Out will start operating in Europe later this year." The S-92 helicopter leads the way as the most compliant aircraft in its class with the FAA and European airworthiness safety standards, and meets or exceeds oil and gas industry requirements. These helicopters perform search and rescue (SAR) missions, head of state missions, as well as a variety of transportation missions for offshore oil and gas crews, utility and airline passengers. The U.S. Navy recently selected Sikorsky to build a fleet of 'Marine One' helicopters based on the FAA-certified S-92 aircraft to transport the Office of the President beginning in the early 2020s. Sikorsky Aircraft Corp., based in Stratford, Connecticut, is a world leader in aircraft design, manufacture and service. United Technologies Corp., based in Hartford, Connecticut, provides a broad range of high-technology products and support services to the aerospace and building systems industries. 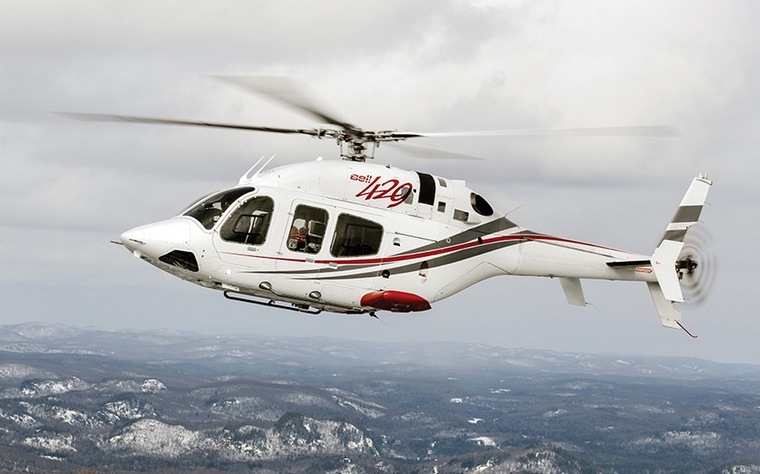 Bell Helicopter, a Textron Inc. company announced the delivery of a Bell 429 helicopter for operation by Heli-Alps, a Swiss-based company offering corporate transport, sightseeing tours and aerial photography. This is the first Bell 429 to be configured for VIP transport in Switzerland and was customized at the Bell Helicopter facility in Prague. "We are honored to have Heli-Alps take delivery of their new Bell 429," said Patrick Moulay, Bell Helicopter's managing director in Europe. "They have set a standard for customers for luxury transport throughout Switzerland and we are excited they have chosen this as their aircraft of choice for their demanding customers." Heli-Alps supports a number of missions, including scenic tourism, VIP transport, heli-skiing and other utility operations across Switzerland. "We are extremely excited to begin operating our first Bell 429 helicopter," said Heli-Alps CEO Francis Sermier. "After carefully evaluating what was available on the market, we are convinced there is no better option for a multi-mission, light twin helicopter anywhere. We are already fully booked for the upcoming summer and foresee a great future for this incredible machine." 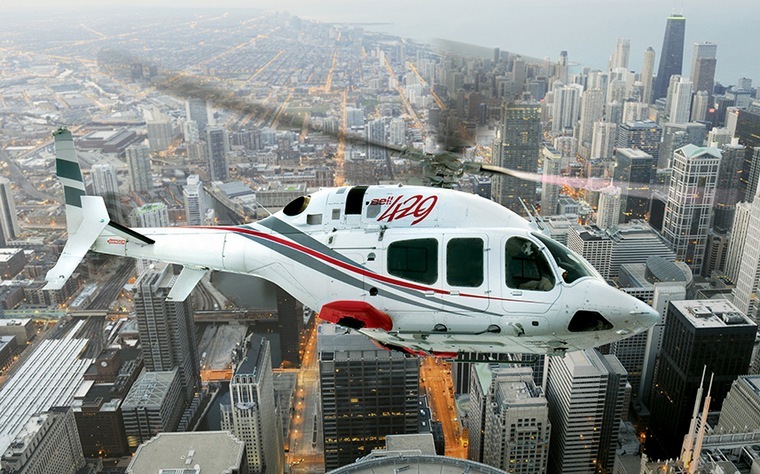 Serving a company with multiple mission requirements, the Bell 429's flight capacity, comfortable seating, luxurious interior and economical light twin engine all helped drive Heli-Alps' choice of a Bell helicopter. Additional equipment such as the Cineflex Camera and Heli-Ski with utility basket will give Heli-Alps additional capabilities and performance to meet their customer needs in their daily operations. The Bell 429 offers exceptional flight performance with a fully integrated glass cockpit, advanced drive system and best-in-class Wide Area Augmentation System navigation and Instrument Flight Rules (IFR) capability. Additional safety features include a collective mounted throttle, damage tolerant hub and rotor system, and energy attenuating seats. It is the first helicopter certified through the MSG-3 process, resulting in reduced maintenance costs for operators. The buyer will take advantage of the Bell 429's spacious cabin and extra-large 60 inch side doors, as well as IFR capability certified for single or dual pilot operations to better fulfil their missions. Bombardier Aerospace today unveiled the first of 30 enhanced CRJ900 NextGen aircraft ordered by American Airlines Group Inc. in December 2013. The purchase agreement also included options on an additional 40 CRJ900 NextGen aircraft. The aircraft was unveiled to American Airlines employees and the media during a celebratory event today at Dallas/Fort Worth International Airport, and will be showcased tomorrow in Dayton, Ohio, to team members at American Airlines Group's ' wholly owned subsidiary, PSA Airlines, Inc. PSA Airlines will operate the 30 CRJ900 NextGen aircraft under the American Eagle brand. American Airlines is the first customer to benefit from the latest enhancements to the CRJ900 NextGen regional jet, which provides up to 5.5 per cent fuel burn reduction over earlier-generation CRJ900 aircraft. "The new Bombardier CRJ900 NextGen airliner will optimize our fleet to fly the right size aircraft to the appropriate markets and lower operating costs by replacing older aircraft," said Kenji Hashimoto, Senior Vice President - Regional Carriers, American Airlines. "With an impressive interior that allows us the flexibility to offer First Class, Main Cabin, as well as additional Main Cabin Extra seats, we are delighted to showcase our first CRJ900 NextGen aircraft in Dallas/Fort Worth and Dayton and look forward to introducing it to our customers later this year." "In addition to offering American Airlines significant fuel cost savings per aircraft, as well as outstanding operational flexibility, the CRJ900 NextGen aircraft will provide customers with an improved experience that includes bright cabins resulting from large windows and LED lighting as well as large overhead bins," said Ray Jones, Senior Vice President, Sales, Marketing and Asset Management, Bombardier Commercial Aircraft. "Together with the fuel burn enhancements and upgraded cabin amenities, we are firmly cementing the CRJ NextGen family of aircraft as the benchmark in regional aviation." The CRJ900 NextGen aircraft's advanced technologies include a conic-shaped exhaust nozzle that improves exhaust flow and reduces fuel consumption; various weight-saving initiatives; and a modern six-screen glass cockpit featuring the Rockwell Collins Pro Line IV integrated avionics suite, whose robust open architecture delivers reliable performance with growth capability to meet future communication, navigation, surveillance and air traffic management requirements. 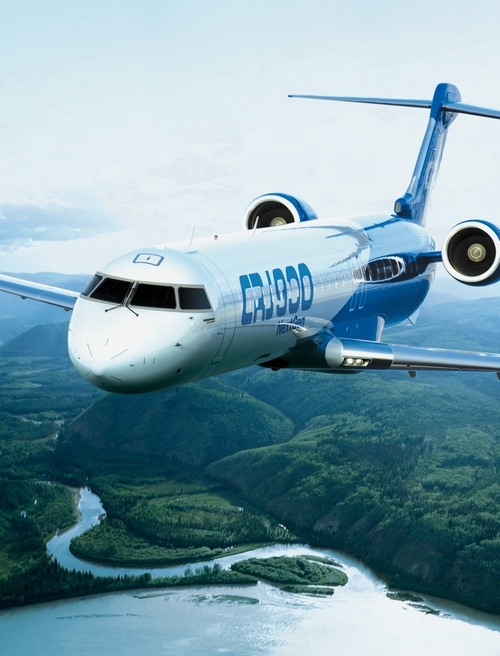 As of March 31, 2014, Bombardier had recorded firm orders for 1,817 CRJ Series aircraft, including 343 CRJ900 and CRJ900 NextGen aircraft. Worldwide, CRJ Series aircraft are in service with more than 60 airlines and more than 30 customers operate corporate variants of the aircraft. The aircraft are operating in over 50 countries on six continents, and on average, a CRJ aircraft takes off every 10 seconds somewhere in the world. CRJ Series aircraft have transported more than 1.4 billion passengers and have logged more than 39 million flight hours and over 32 million take-offs and landings. Embraer held the opening ceremony of the final assembly line of the KC-390 military transport. The event occurred at Embraer's plant in Gavião Peixoto, São Paulo, and was attended by Brazil's President, Dilma Rousseff, the Governor of the State of São Paulo, Geraldo Alckmin, and other dignitaries. 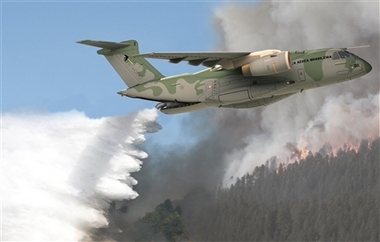 On the occasion, Embraer and the Brazilian Air Force signed the series production contract of the KC-390, thus marking the beginning of a new phase of the project, which began to be developed in 2009. The contract provides for the purchase of 28 aircraft over a period of ten years, with the first delivery scheduled for the end of 2016. Besides the aircraft, the contract provides for supplying a logistical support package, which includes spare parts and maintenance. At a total value of R$ 7.2 billion, the contract still depends on complementary documentation in order to go into effect, which is expected to occur within 90 days. Only then, will Embraer formally include it in its order book. 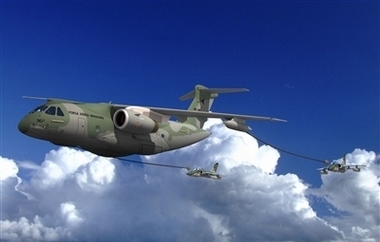 The KC-390 is a joint project of the Brazilian Air Force with Embraer to develop and produce a tactical military transport and aerial refuelling airplane that is a significant advance in terms of technology and innovation for the Brazilian aeronautics industry. This is an aircraft designed to establish new standards in its market category, with a lower operating cost and the flexibility to perform a variety of missions: cargo and troop transport, cargo deployment, aerial refuelling, search and rescue, and combating forest fires. The airplane will be produced at the Gavião Peixoto industrial plant, in outstate São Paulo, in facilities including more than 30,000 square meters of hangars, where the first prototype is already in the structural assembly phase. Final assembly is planned to begin in June. "This is a historic day for the Brazilian Air Force," said the Commander of Brazilian Air Force, Brigadier General Juniti Saito. "The KC-390 is a project that was carefully specified to serve our nation, in total alignment with the guidelines of the National Defence Strategy, and it will represent a great leap in the operating capacity of air transportation." "We are very happy to achieve another great landmark in this challenging project," said Jackson Schneider, President and CEO of Embraer Defence & Security. "Few countries in the world can experience the pride of operating aircraft that were specified, developed and manufactured on their own soil, and once again, the partnership between the Brazilian Air Force and Embraer is generating a product that promises to be an outstanding worldwide success." The contract for developing the KC-390 was signed in 2009. Besides the order by the Brazilian Air Force, there are currently intentions to purchase 32 aircraft by other countries.